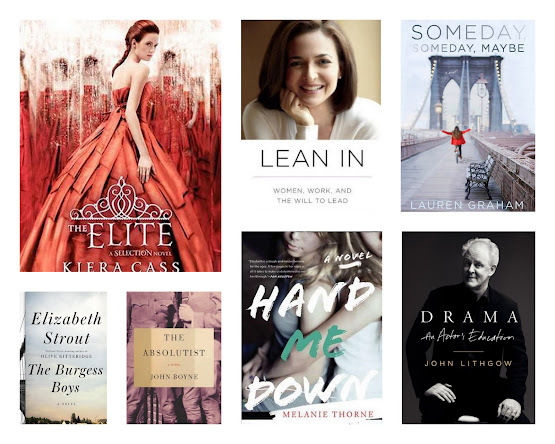 TSS: April 2013 Recap – my books. my life. It’s May 5. Probably about time to wrap up April. Not a bad month, but once again the majority of my books are audio. I’ve GOT to find some time to sit down with a print book. Maybe on my new patio furniture? I’m on hold for the moment. I’ve been having some pain in my left foot and the doctor told me I’m on injured status for awhile. So far it isn’t making me feel better, so I may just go back to running anyway. I’m sad to miss the Mother’s Day race I was going to run. The doctor also told me to buy new shoes – that part I like! I did, however, post about my FitBit this month. I’m still trying to walk as much as possible. Well, Evan is 11 months old and plans for his first birthday are well under way. I have no idea how this happened. He’s walking and talking (well, he says cat – or “tat”) and become a kid instead of a baby. This month, I shared photos of Evan at the zoo and on Easter; a video of some of Evan’s very first steps; and before and after photos on our one-year home anniversary.